Women TIES believes in being a resource for women entrepreneurs especially by providing them with information on local, regional and statewide government services, economic development agencies, educational institutions, and chambers of commerce so they can succeed in their entrepreneurial ventures. Women TIES believes in collaborative partnerships and will promote organizations and institutions around New York State that provide diverse services to support and advance women entrepreneurs. Below is a list of business resources women entrepreneurs should consider contacting for further assistance and guidance in business planning, financing, promotion, funding, growth, expansion and a multitude of other services. If you are a business resource who would like to be added to our listing, click here to register. The Canandaigua Area Chamber of Commerce is a membership organization that serves in a leadership capacity: To create and foster programs and services that support its members; To facilitate the exchange of information and ideas; To stimulate and promote commerce and tourism. We welcome you to our beautiful community and region! Breathtaking scenery, a magnificent lake, delicious wines, bountiful activities, and great places to relax and rejuvenate are what awaits you in the Canandaigua area. Whether you are looking for a new place to call home, a vacation destination, or the right place to start a business you will soon know why Canandaigua is called “chosen spot!”. We provide free and confidential counseling to start up and existing businesses. We also provide general training specific to the needs of entrepreneurial and business specific training. EAP is designed to assist women, minorities, individual with disabilities and dislocated workers in Broome, Tioga, Chenango and Delaware Counties to increase formation of new businesses and strengthen operations of existing businesses. A 60-hour program each September helps clients prepare a bank-ready business plan. We help businesses grow and succeed! The Tioga County Chamber of Commerce mission is to be a catalyst in the support and promotion of the commercial and civic well being of Tioga County. The Procurement Assistance Center provides specialized assistance to firms interested in supplying goods and services to federal, state and local government agencies and large commercial firms. Empire State Development offers loans, grants, and general business assistance and referral services to businesses that are expanding, improving business operations, and/or relocating to NYS from outside the state. Funds are available primarily for capital expenditures. Assistance is typically based on a project-specific cost/benefit analysis, heavily weighted towards job creation and/or retention. The office also provides assistance with NYS M/WBE certification. 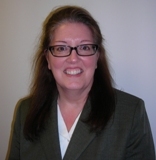 Joan has been with the SBDC since 1996. Prior to joining our staff, she worked in the private sector for eighteen years in the accounting department of a Fortune 1000 corporation. 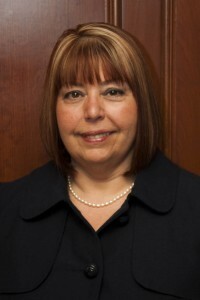 Joan received the SBA's Syracuse District Women's Business Champion Award for 2004 and the New York State Small Business Development Center 3rd Runner Up for Business Adviser of the Year in 2004. Joan runs the Center's outreach center in Cortland and previously served as Assistant Director. She received her B.A. and M.S. degree in accounting from Syracuse University. The Women's Business Center of NYS is dedicated to helping entrepreneurial women reach their goals and aspirations for personal and professional development. Users of the WBC of NYS will receive the information and expertise they need to plan their economic independence through owning a business of their own.Our services include:Serving female entrepreneurs throughout 29 of the 34-county Syracuse District,providing assistance and training,Helping direct women to resources in their area, offering entrepreneurial courses in various upstate locations,providing assistance and training in finance, management, marketing, procurement, and the Internet, SBA Loan Programs, Procurement and MWBE Certification.